On April 23rd 2016 the “Friends of Hrant Dink” club was founded. The idea originated from Stepan Daduryan and this is not his first Hrant Dink project. Last year with his initiative and the help of AGBU Burgas chapter a plaque of Dink was placed on the walls of Armenian Saint Cross’ church in the city. For the club opening members of different Armenian organizations from the city were present, as well as friends of the Armenian community. Special guests were Father Bohos Mikaelyan from Burgas and Mr. Rupen Chavushyan Chairman of AGBU Plovidv, who is the only person who has the exclusive rights to publish materials of Hrant Dink in Bulgaria, as well as Hripsime Erniasyan main editor of AGBU Voice newspaper. Stepan Daduryan opened the meeting with words about the personality of Hrant Dink, focusing on his life and fight for the recognition of the Armenian Genocide in Turkey. Rupen Chavuhsyan spoke about the reasons for Dink’s murder. Agop Movsesyan Chairman of AGBU Burgas embraced the idea of the club and said that he and the chapter will work closely with it. Father Bohos Mikaelyan gave his blessing and encouragement of the initiative. In the board of the club were chosen: Hripsime Erniasyan, Thomas Ahcian and Rostislav Tonchev (both AGBU Scholars) who together with Mr.Daduryan will first take care of the legal and official registration of the Club in Bulgaria. The attendees were presented with a video of the last interview by Stepan Partamyan with Hrant Dink in November 2006, during his visit in the US. Today, as we pay tribute to the 110th anniversary of the Armenian General Benevolent Union (AGBU), we remain strongly committed to its mission, ever mindful of the heavy responsibility we bear in addressing the numerous and extraordinary challenges facing our people. This year, we celebrate the 25th anniversary of the independent republics of Armenia and Nagorno-Karabakh (Artsakh). We also commemorate the 101st anniversary of the Armenian Genocide which heralds the beginning of a new era for our flourishing nation’s struggle for justice and retribution. With bright prospects for the future, our nation is enjoying many notable individual achievements, affluence and international recognition. Yet, at the same time, we are confronted with many serious imperatives in our homeland and the diaspora which mandate the need for consolidating our resources and strengthening our resolve. At this juncture, we realistically assess our nation’s efforts, particularly over the past 25 years, with its achievements, successes as well as its short-comings. In view of the many opportunities offered by the new realities in the diasporas, we expand our mission, adopt corresponding organizational structures and cultivate new partnerships. The ramifications of regional instability in the Middle East, the latest manifestation of which is the ongoing brutal armed struggle in Syria which continues to dismantle our traditional diasporan communities in close proximity to our homeland. Faced with this reality, we continue our sustained efforts to organize humanitarian assistance and to support our fellow Armenians in need. The escalation of hostilities – in both intensity and frequency – on the part of Azerbaijan against Nagorno-Karabakh endangers the safety of our people in Armenia and Artsakh. We cannot afford to be complacent and must remain vigilant in the face of this grave threat. We must provide support and assistance to strengthen the defenses of our homeland, rally to raise awareness and make our voices heard within the international diplomatic circles in support of peace and security for our homeland. We cannot afford the loss of our territory or independence. We remain committed to join forces with all people and organizations of good will to build a prosperous country in our homeland. Our diasporan communities around the world are faced with the imperative of joining forces and preserving their identity. Traditional organizations have become less effective due to the proliferation of our Eastern and Western diasporas and generational change. The new professional and entrepreneurial youth, defines its identity through its local and competitive professional environment and is gradually drifting away from its Armenian identity. While continuing our current initiatives for preserving our cultural heritage, our new programs are directed toward our younger generation, to rekindle their innate sense of national identity by engaging them in national and community initiatives as well as various social and economic development projects in Armenia. To this end, we will be highlighting and promoting success stories that inspire national pride. We strongly believe that the Armenian Apostolic Church should be strengthened, particularly in providing spiritual support and guidance to our youth. Throughout our history and today, the Armenian Church, ever present and active, has been the one prominent institution with an active presence both within and outside of our homeland, which can play a guiding role in all our communities. We shall continue our close and historic efforts to assist the Church in its spiritual and national mission. The underlying principal of “One Nation One People” is a core maxim of our organization, because it unites our diasporas, Armenia, Artsakh and the Church, defines our priorities and responsibilities, and reveals our potential. We are proud of the illustrious achievements of AGBU’s history and impact. We are committed to the ideals of the “General Union” as envisioned by our founders and are pursuing the path they set forth. We continue to promote professionalism in our operations and have forged partnerships with enterprising leaders who have initiated numerous projects that aim to develop Armenia and Artsakh and energize the potential of our diasporas. On this momentous occasion, we call on our youth, all factions of our nation, our benefactors and membership to join us in our course, to help us honor this landmark occasion in a spirit of unity and pursue our mission with honor and added resolve. Last year (2015) two active and longstanding members of AGBU were awarded the title “Honorary member of AGBU Plovdiv Chapter – Araks Magardichyan on the occasion of her 70th anniversary and Garo Ahchiyan – on the occasion of his 75th anniversary. The third honorary membership was awarded to Agop Ormandzhiyan on the occasion of his 80th birthday. Araks Magardichyan is among the 12 founders of the restored in 1991 a chapter of AGBU in Plovdiv. 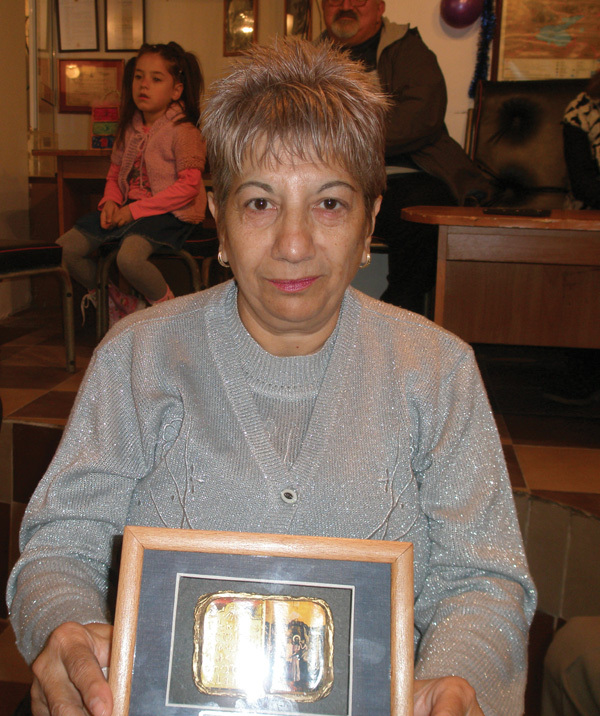 For many years, she has been in the leadership of AGBU Plovdiv Chapter. Creator of Student night those 20 years is held under the auspices of AGBU Plovdiv Chapter. Creator of the Ladies club in which 12 years women members and supporters of AGBU Plovdiv Chapter work in support of the charitable causes of AGBU Plovdiv Chapter and Youth Club which was founded in 2016, January. 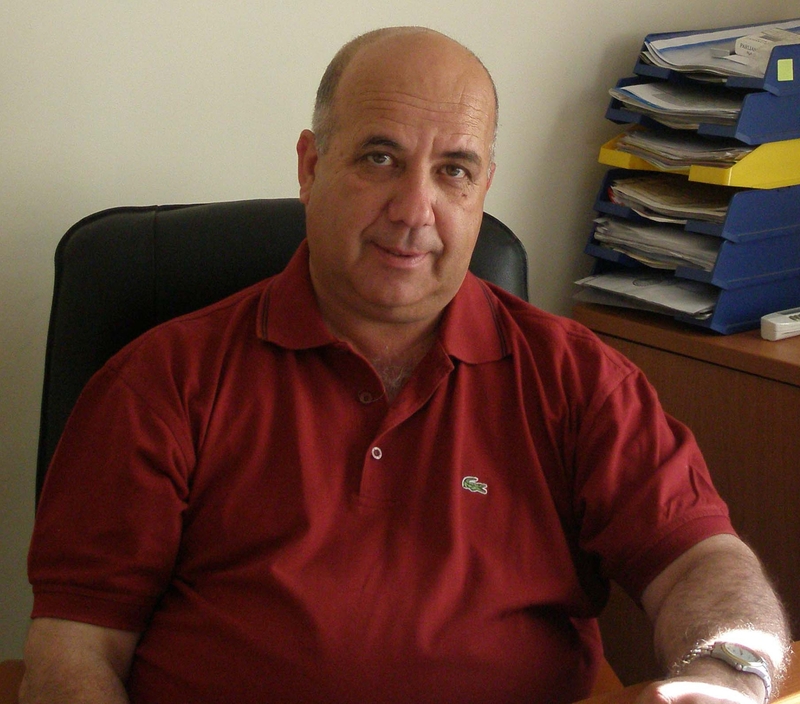 Garo Ahchiyan is a founding member of AGBU Bourgas Chapter and its longtime deputy Chairman. 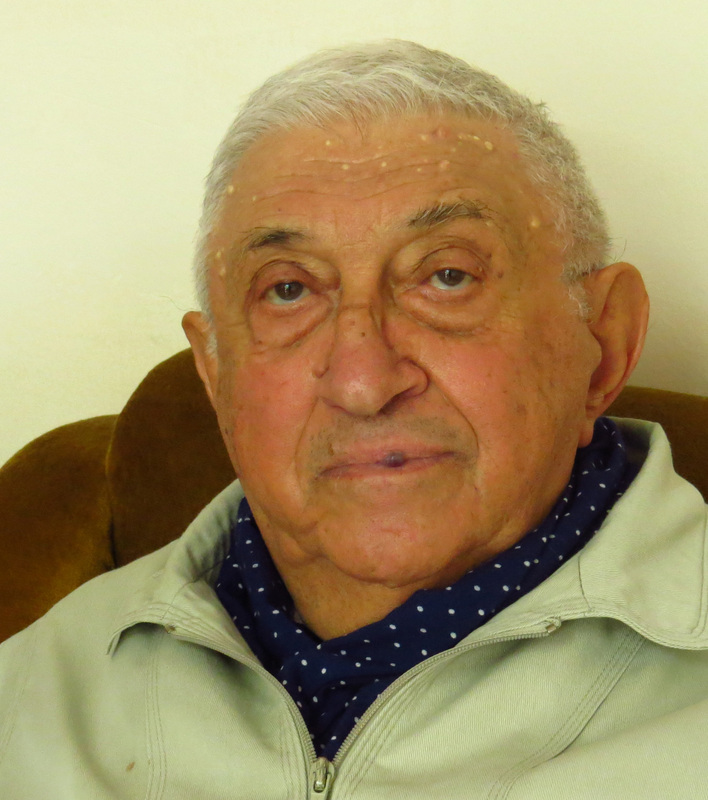 Over the past 12 years, he was a member of the church board of the Armenian Church in Burgas. 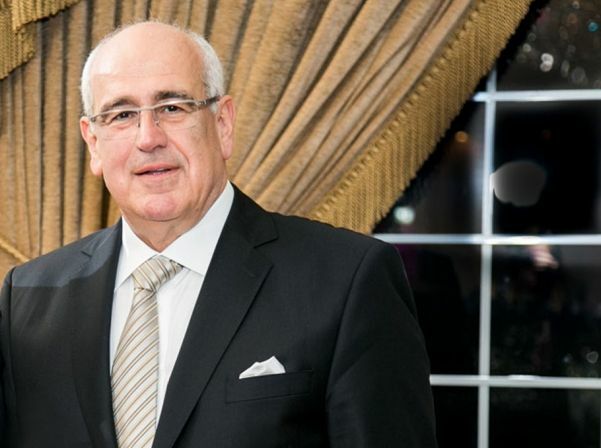 For his great contribution to the cultural and social life of the city of Burgas is rewarded with the biggest prize of the city “Key Tower” served him personally by the Mayor in 2015. Agop Ormandzhiyan is an established Armenian translator and journalist. Member of the editorial board of newspaper AGBU Voice from its creation until today. He is a respected teacher in Armenian in Sofia University, Department of Armenian and Kavkazology. Bulgarian publishers and AGBU Plovdiv Chapter issue more than 12 his translations of Armenian books in Bulgarian. 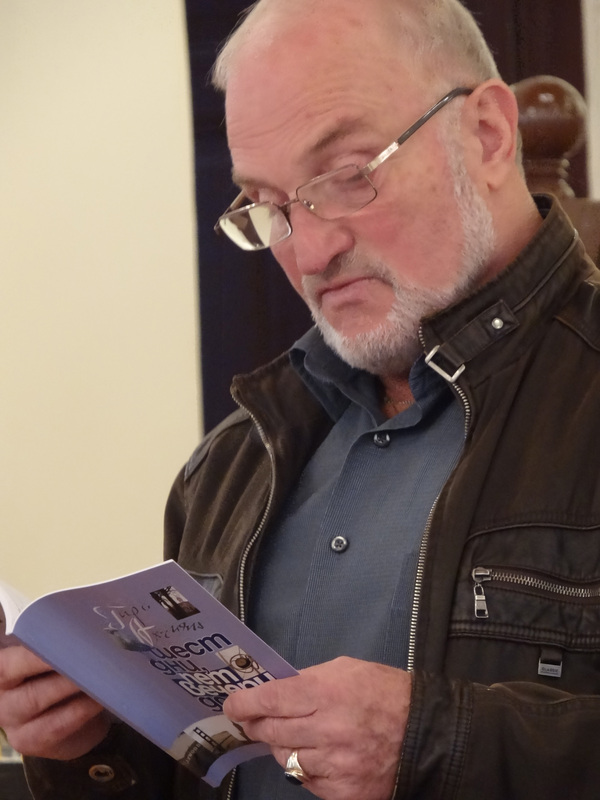 On April 21, 2015, at 18:00 in the Ethnographic Museum in Plovdiv was held a Reading of Armenian writers and poets. The event was part of an initiative of the International Literature Festival in Berlin, which organized the reading of Armenian literature in more than 26 countries on five continents and was associated with the celebration of the centennial of the Armenian Genocide in 2015. Twelve poets, writers and journalists attended the event, which in Plovdiv was organized by the Armenian General Benevolent Union Plovdiv Chapter and journalistic company in Plovdiv “Europres” including members of the Literary Club “Mladost” and company “Europres”. In the hall of the Ethnographic Museum sounded excerpts from the works of Hrant Dink – “Two close people two distant neighbors”, Zabel Esayan – “Among the ruins”, Varujan Vosganian – “Whispered book”, Suren Vetsigyan – “Guided by God in the service of their people, Agop Daydzhanyan – “Silent summer “ode “Crucifixion “. Elena Divarova, Lyubka Slavova, Nikolyay Slavov, Maria Chulova, Sarah Toteva, Eugenia Tagareva, Svetla Panayotova and Emilia Zabova read excerpts from Armenian literature. Own poems written on occasion 100 years of Armenian Genocide brought poets Nikolay Gyulev, Mincho Palavrov, Lyudmil Popov, Emilia Zabova. Attention of those present Bulgarian friends of Armenians from Plovdiv was riveted by the terrible suffering of the Armenian population described in the documentary book by Zabel Esayan, great sorrow and suffering of the inhabitants of Shabin Karahisar described in the autobiography of Suren Vetsigyan, facts undoubtedly talk about abuses and atrocities in the killing of 1.5 million Armenians of April 24, 1915. 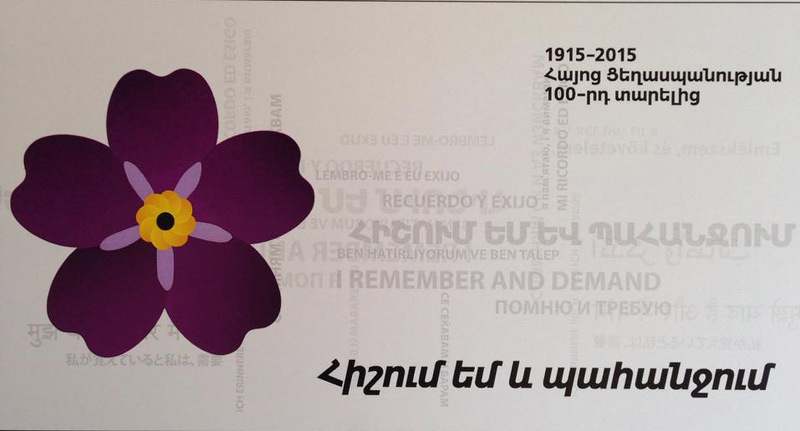 At the end of the event, the organizers gave all participants badge “forget-me-not”, the symbol of the 100th anniversary of the Armenian genocide. Commemorative photo of all was taken at this first forum of Plovdiv of writers, poets and journalists, on behalf of whom the Plovdiv journalistic company “Europres” issued a statement on Armenian Genocide March 30, 2015. FOR THE FIRST TIME “AGBU”PUBLISHING HOUSE, CHAPTER PLOVDIV PUBLISHES THE AUTOBIOGRAPHY BOOK OF SOUREN VETSIGIAN “HIS GUIDING HAND, TO SERVE MY PEOPLE” ONLINE! Dedicated to the 100th Anniversary of the Armenian Genocide of 1915. The official presentation was scheduled for December 4th year from 15.30. in Old Town. N.V.B. Father Spitting Muradyan, vicar of AASCB and pastor of Plovdiv Armenian Church “Surp Kevork” consecrated the banner of camp “HayLer 2014” at Friday, August 22, in the presence of campers, camp leader Virginia Garabedian, guests from Haskovo – Chairman of ACN in church “Surp Stepannos” Mihran Karekinyan from Plovdiv – Chairman of “AGBU” Rupen Chavushyan and members of the office of the newspaper “AGBU Voice”. The banner was made by award-winning charitable donor of AGBU in Plovdiv – MARY Harutyunyan who embroidered the banner and symbols of CAMP HayLer. More details and lots of photos you can see in the category – Saturday School. 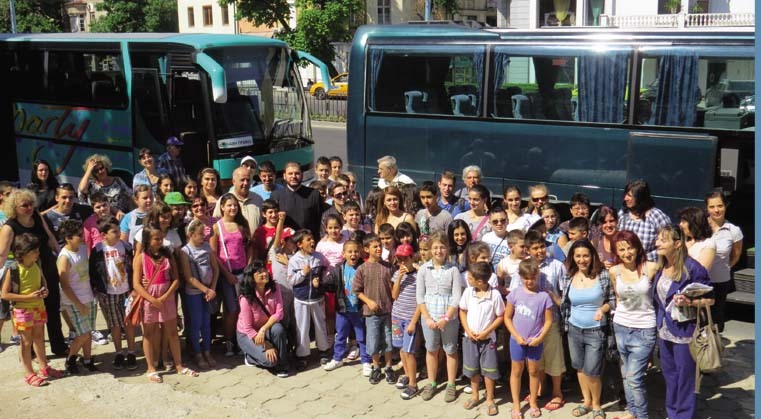 July 21, 2014 – This year, AGBU Plovdiv Chapter finances the participation of four young people (three from Plovdiv and one from Ruse) in various programs of AGBU in Armenia. 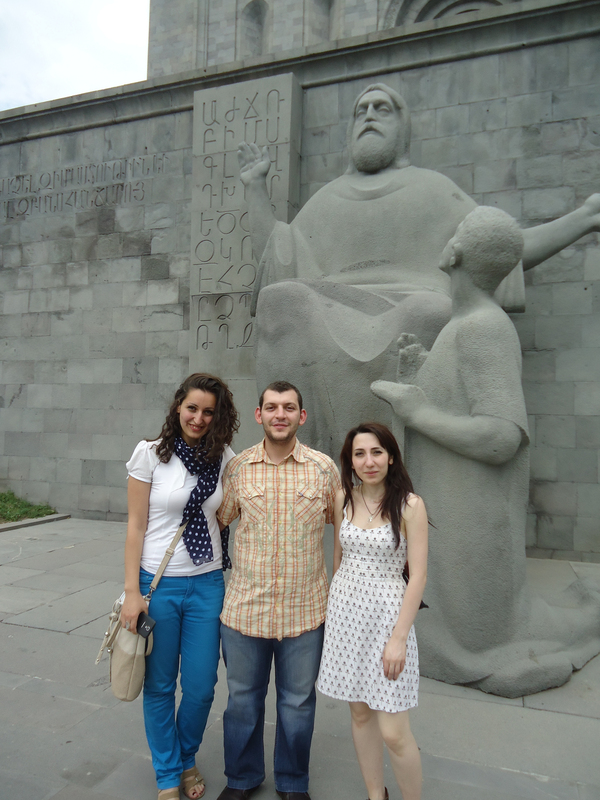 Lilith Shahinyan was nominated to participate in the Summer Internship Program in Yerevan from June 22 to August 1. She is an excellent student and very active in the Young Professionals (YP Plovdiv). 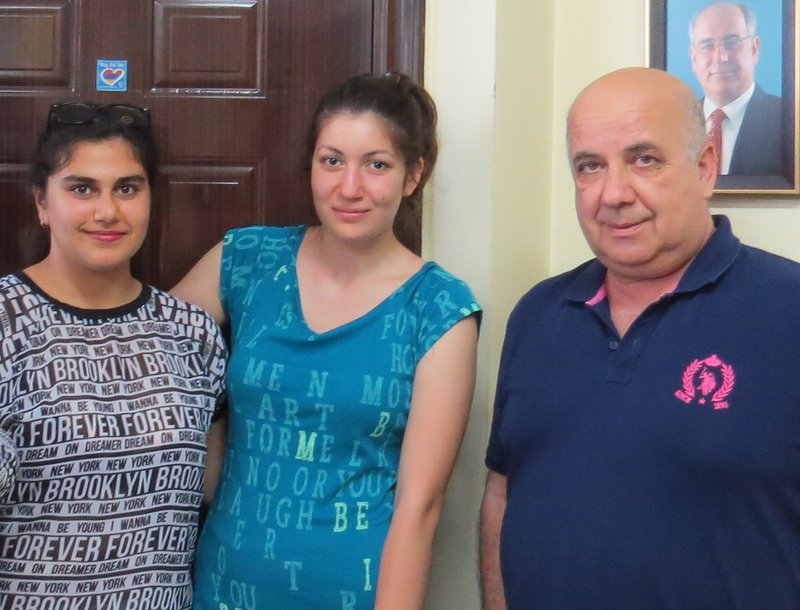 Sarah Saryan 15, and Armine Badvaganyan 17, will take part in the Scout camp “Antranig” in Armenia from 10 to 24 July 2014. The two girls are very prominent because they are in the AGBU Plovdiv Chapter Armenian Saturday School since childhood and have participated in the theater group and the events of the Saturday school. Sarko Sarkisian from Ruse, who serves as a deacon in the Armenian Church “Surp Astvadzadzin” was the participant who was nominated by the Armenian Diocese in Bulgaria to take part in the Gathering of the representatives of the Armenian Church Youth Union in Echmiadzin. AGBU Plovdiv Chapter financed the trip of the young man who, along with Lilith Shahinyan, which is also in Yerevan, presented the Bulgarian youth. As a continuation of our participation in the AGBU programs forthcoming is the participation of two young men in the GORIZ program that will be held this year in October in Tbilisi, Georgia – Martin Kokonyan from Dobrich and Thomas Ahchiyan from Burgas. On June 15 this year at the Armenian Cultural Centre in Plovdiv a glamorous celebration of the closing of the school year for Armenian Saturday school of “AGBU” Plovdiv took place. The program was result of weeks of hard training, which gave the most beautiful gift for parents and our community – “Andersen’s fairy tales” in Armenian language so bold and with artistic skills that touched the audience. Leading Sarah Saryan and Armine Badvaganyan presented the participants and the announced in Armenian and Bulgarian – poems for mother tongue, songs, the latest dance children dance group “Asthigner” – colorful and fun they entertained us. More than 25 children went through the stage as established artists and dancers. For each of them, Chairwoman of the educational committee of the Benevolent Union Virginia Garabedian said kind, but critical words. Participation of each child in the child amateur groups “AGBU” branch Plovdiv involves parents. They give a lot of attention and care to their roles. Preparing them and help them for the roles. Applause and flowers for teachers and parents, whose invaluable help dealing with all events Sabbath school were delivered by “AGBU” – directed by DTT “Malvina Manukyan” Evelina Nikolova, choreographers of child dance group Ramela Marukyan and Takuhi Veziryan, on interpreters and assistants in the Armenian version of “Andersen’s fairy tales” – Silva Dolmayan, Araksi Magardichiyan and Vardui Garabedian, teacher of Armenian language Alvard Badvaganyan. Emcee and lead singer of the band Elise Gagosyan shared great joy of the composition, the fact that the new album is ready. Besides the enormous work of instrumentalists and singers to see the light of day this disc needed a man with a big heart to give us a hand to encourage and help us. This man is the President of “AGBU” branch Plovdiv Rupen Chavushyan. The initiative of Mr. Chavushyan to fund discs with personal funds, to promote the Armenian songs began with the release of the album “Love” by Mary Movsesyan-Kaludova of Burgas. From sales of this CD were made possible issues of new CD with songs from Vocal Instrumental Ensemble “Erebuni.” From the sale of this CD will depend the next issue, which will be proposed. 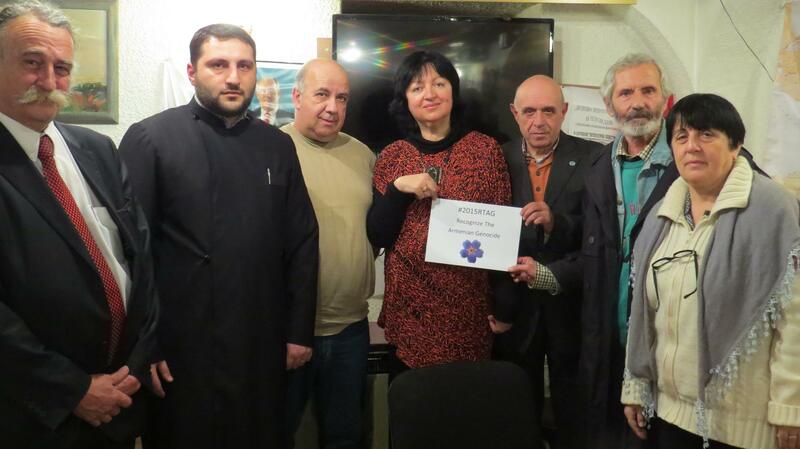 Group “Erebuni” warmly thanked Mr. Chavushyan! “The Greeks believed that the phoenix lived in Arabia, near a cool spring. Every morning at the crack of dawn she bathes in the fountain and sang so beautifully that Apollo, captivated by her voice, stops his chariot to enjoy her song. We called our new album “Song of the Phoenix.” Linking our association with the mythical fire bird and symbol of immortality, life after death, triumph over disasters of fire and life, new beginning, the Divine and Love “-headline story, Elise Gagosyan. The band played songs that are included in the new CD. Also presenting new Soloists: Daniela Derderyan-Stefopulos and Elise Gagosyan. In the repertoire of the group one song always has accompanied our concert performances and is present in every CD. It is emotionally connected to Tommy Tumayan who is no longer among us. Sung as duets are very popular and iconic songs. In our new disk are selected 14 new songs, but “Erebuni Yerevan” and “Hai achker” will always be between them. 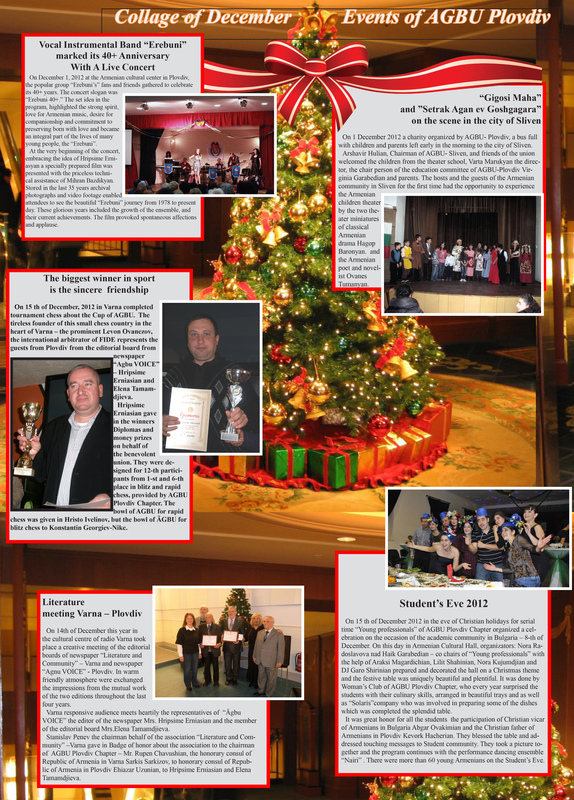 More info in issue 136 of the newspaper “AGBU Voice” in Armenian information site “Gantheh Araradyan”. Քեսաբի իրադարձությունների վերաբերյալ Ռումինիայի և Բուլղարիայի հայ համայնքների ներկայացուցիչները հանդես են եկել հետևյալ հայտարարությամբ. AGBU Plovdiv chapter will organize an OPEN concert for charity, from which all the proceeds will be donated to the Syrian cause (end of November 2013). All people who want to help to achieve our target are welcome to participate in the concert. All proceeds from the traditional Student night in 2013 will also be donated for the Syrian cause. We’ll activate all AGBU Plovdiv Chapter’s units, incl. the Council of Chairmans , Saturday schools, theatre group and their leaders, parents and Bulgarian friends. In July this year AGBU Plovdiv chapter concluded a partnership agreement for joint action and cooperation municipal foundation “Plovdiv 2019”. On August 9, 2013 in Plovdiv launched a new and interesting project in Bulgaria. In the Armenian Cultural House in Plovdiv President AGBU Plovdiv chapter Rupen Chavushyan, director of CTT “Malvina Manukyan” Varta Marukyan, chairman of education committee of the Benevolent Union Virginia Garabedian and managing editor of the newspaper “AGBU Voice” with children and parents met Valerie Kyorlinski with conductor and composer Viktor Iliev and the director of the show Evgeni Kornyak of Ukraine. The show will be held on September 14 this year the Antique Theater in Plovdiv. On 16 August 2013, in the town of Bourgas was held a Conference of AGBU . It consisted of Plovdiv and Burgas chapters and its associated chapters of the cities of Haskovo , Sliven , Dobrich, Ruse, Silistra and Yambol . The meeting was attended by Rupen Chavushyan – Plovdiv, Agop Movsesyan – Bourgas , Edward Kokonyan from Dobrich , Dr. Bohos Garzharyan from Ruse , Verka Tomasyan – Haskovo , Sonia Arshavir from Yambol , Garo Ahchiyan , Vice President of Bourgas chapter Hripsime Erniasyan member of the leadership of the Plovdiv chapter. For respectful reasons, Arshavir Huliyan , president of the Sliven chapter and Magardich Kalustyan president of Silistra chapter were absent. With introductory words about the place of each chapter and its contribution to community life , started the President of AGBU Plovdiv chapter Rupen Chavushyan . He pointed out that the newly formed Conference of AGBU in Bulgaria gives more freedom and voice of chairs in different cities when making important decisions in the Benevolent Union and continued that the Regulation Council works under the technical guidance of the Armenian General Benevolent Union AGBU based in New York City , USA. To optimize their work, the Council of Presidents of AGBU in Bulgaria elects its Chairman and Vice-Chairman / s. Mr. Chavushyan was elected as Chairman and Surpuhi Derandonian was elected Vice-Chairman for mandate of two years. After that the meeting focused on the events for the 100th anniversary of the Armenian Genocide. On August 17 , the third day of the IV -th festival “Days of Armenian culture and traditions ” – Burgas’13 with organizer – the Association ” United Armenians ” and president Levon Manukyan was dedicated to a wonderful exhibition titled “Armenian spiritual values and national memory , stored in the relics . 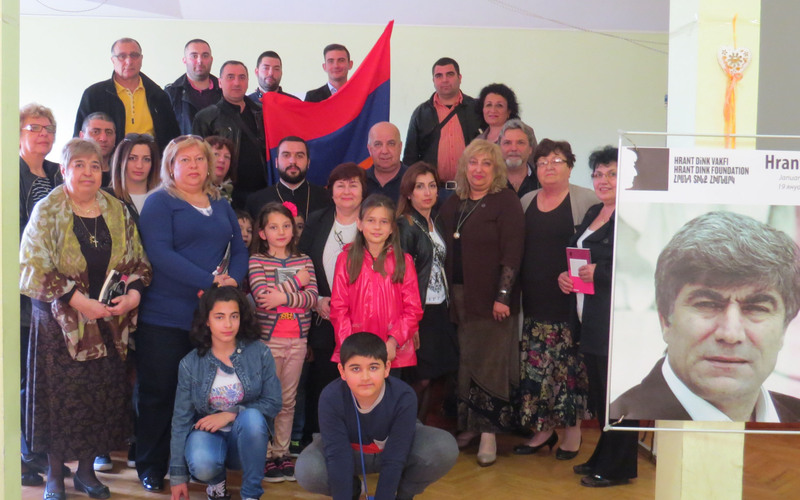 ” Initiative of AGBU – Plovdiv to create such an exhibition in cooperation with the Armenians from Bulgaria (from Burgas Mrs. Azniv Sarkisian and Azniv Pyuzantyan , Haskovo AGBU and CB at ” Surp Stepannos ” of Dobrich ABGU and CB at” Surp Hovhannes ” of Plovdiv AGBU CB at” Surp Kevork ” from the personal archive of a few families from Plovdiv ) is a really great initiative. Exposure has collected priceless objects from the late 19th and early 20th century, preserved not only everyday life, but the spirit, the love and the faith of the Armenians . They are woven into the handmade lace, in artifacts made of metal, in embroidered fabrics in everyday objects and religious cults. Beauty, which is imperishable and to be transmitted through the ages – that’s the point of this exhibition. A great start already set and the idea of the organizers of the charity Union in Plovdiv in time that exposure will be multiplied and enriched to inspire generations behind. On August 28 this year Armenian community participated in an event organized by the Red Cross in Plovdiv named Baking Houses. Armenian proverbs about bread were read by Elena Tamamdzhieva, a member of the editorial board of the newspaper “AGBU Voice.” To make yummy Armenian bread came Sirui Altunyan, Alvard Badvaganyan and Hripsime Erniasyan. The surprise which the Armenian ethnicity brought was Lavash, whick was served with freshly baked in a nearby Armenian restaurant shashlik. All activities of Bread houses are organized by people who believe in its mission, which creates space in the comfort of the fire and the smell of warm bread. Different people, friends and strangers, young and old converge, support and enrich each other. Innovative and competitive bread was made by members of Bulgarian Orthodox Church, Jewish and Turkish ethnicity. All learned about certain traditions of the three ethnic groups, how do you say bread in Turkish, Jewish and Armenian language, what is “prosfor” in the Bulgarian Orthodox Church and how to use it on the bread. One could have heard Bulgarian, Armenian, Jewish and Turkish speech. The wonderful conditions for the event were provided by Red Cross Plovdiv and miss Panova. On 14 July this year from Plovdiv to Armenia went three young people who participated in the program AGBU Musical Armenia 2013 . Anahid Tateosyan – harp – viola Agop Tateosyan and Elise Gagosyan opera singing, presented for the first time AGBU Plovdiv. About their impressions tells Annie Tateosyan and begins her story with a smile and the first thing she said was: “Do not travel with Alitalia”. We were in touch with the problems that the company created to these young people who first journeyed to Armenia and threatened their participation in the program. Despite their assurances that the return will not be a problem, they again faced with trials that were not marred their great experiences in Armenia. What is Yerevan like? – Pink, I loved it. The buildings are beautiful and give a look of its own capital. The very feeling that is there is warm. Not only because of the heat, the people are warm. And there is uniquely delicious food. Training: “Was it useful for you?” – Personally for me it was very useful. My teacher is Professor and played in the orchestra of filharmoniyata . Every day we practiced and she showed me the highlights in Armenian music . I studied Armenian dance harp. Not only my professor Joan Hovanesyan , but everyone else was very good. The program has a future and we still want to go . The organizers did very well and took care of us. Parekordzagan We are grateful for this opportunity to be in Armenia to participate in the music program. Known and loved singer , conductor and soloist of the choir at church ” Surp Hach “, Burgas was represented by Levon Manukyan , a popular musician , conductor and organizer of the festival. Prompted by questions of Mr. Manukyan , Mary spoke about her professional and creative path . She share her experience that this year in May she arrived for the first time in the city of seven hills to sing in front of Armenians. Here, with his charismatic voice and musical talent to turn messages into a unique art, she finds sponsor her first album, the President AGBU Plovdiv – Rupen Chavushyan . Surprised, she accepts his proposal for recording, but hardly expected that this will happen so soon. Almost three months later, the disc is ready and presented for the first time in her home town of Burgas. Hall of Sea Casino is filled with colleagues, friends and relatives of Mary . One can feel the impatience of the audience to hear the voice of Mary again, to learn more about this event and to share the joy of the singer. Mary presented several performances from the disc and the live audience became silent. She sang with an open heart, like how she always felt music – deep and heartfelt , penetrated into every note and phrase. Among the excited fans was Mary’s mother , who received well-deserved applause, from those present. The sponsor of the disc says he will support the future promotion of Armenian talent in Bulgaria and will help launch the disc “Love” in other cities. Vacation is for children the estimated time when they will stop thinking about lessons and enjoy child games, sea, school camps and lots of fun. In autumn, having put on their nice clothes and a bouquet of flowers for their favorite teacher children will go back home to a number of schools. Until then, their new textbooks should be provided. Each year, the leadership of AGBU Plovdiv chapter faces indispensable task for providing textbooks for Armenian language. Given the diverse ages of the children who attend Sabbath School Union of Charity, this task is not easy. After an intense correspondence with the Ministry of Diaspora in Armenia and the Armenian Embassy in Bulgaria, we will remember with gratitude that this year with the support of HE Ambassador Extraordinary and Plenipotentiary Mr. Shoyan we received 30 brand new sets of colorful books and notebook A 1, A 2 , B 1 and B 2 from Armenia. They were assigned to Saturday Schoosl in Plovdiv and Haskovo. The main task of the delegates was to accept the new Articles of Association of the Armenian Church, approved by Patriarch and Catholicos of all Armenians, in place of the previously accepted one 60 years ago when Armenia was under the communist regime. The two-day meeting was attended by Rev. Father Abgar Ovakimyan, vicar of the Armenian Diocese of Bulgaria, a representative of Holy Seed was Archbishop Tatev Akopyan, bishop of the Armenians in Romania, all clergy serving in the Armenian churches in Plovdiv, Sofia, Varna and Ruse, 44 Delegates from the selected 51. Under this significant event signatures placed 44 representatives from Bulgaria. In absolute terms, they showed a strong desire to work for the Armenian Church in its centuries old traditions and customs. We are proud that among highly rated by Archimandrite Abgar Ovakimyan people who worked for months on the Cons titution and its adaptation to the Bulgarian legislation was also Mr. Rupen Chavushyan, member of Diocesan Council of Armenian churches in Bulgaria and Chairman of AGBU Plovdiv Chapter. The constructive and objective proposals made by him were all accepted. We are happy to share with you that on that day Mr. Rupen Chavushyan is selected for the first ever delegate meeting to be one of the two representatives of the next General Assembly of the Armenian Diocese in Echmiadzin, Armenia. The reason to turn to you is a draft resolution of the Parliament of Ukraine, declaring April 24 as a day of commemoration for the victims of the Armenian genocide of 1915. As far as I am aware, this resolution is currently being discussed in the Parliament of your country and I ask you to support it. Today, when the citizens of Turkey, which denies this cruel and immersed in blood past, are calling the country to recognize the Armenian genocide, we find that your gesture is strong and moral support for the Armenian people. It is an example of how humanity should refer to the suffering of people and stop such bloody and inhuman assault from ever happening again. With this important step, Ukraine confirms its position as a country that is unforgiving to crimes committed against humanity. Honoring the memory of a million and a half innocent Armenians once a year will help the new generation to understand the weight of history and the dangers of racism and extremist ideologies. In commemorating the Armenian genocide, furthermore, your country will be joining the many other countries in Europe and abroad, who have done so and sided with justice. I am confident that this can only enhance your prestige as a country that stands up for its principles, even in the face of pressure from abroad. Therefore, we look forward to the adoption of this excellent text in the Parliament of Ukraine, and thank you in advance for the support given to our embattled Armenian nation. AGBU Plovdiv chapter COMING SOON SALES OF ARMENIAN BOOK Organizers: Young Professionals – YP May 19, 2013 (Friday) from 10:00 to 16:00 The program will involve: Children’s theater group “Malvina Manukyan” at AGBU Plovdiv, director Lime Marukyan Garo Ahchiyan-writer of Bourgas Mary Movsesyan Kaludova – dramatic soprano, soloist of the Armenian church choir at church “Surp Hach” – Burgas Literary marathon with the Society of Plovdiv writers Kalin Kalinov poet and satirist Will screen films Armenian and Armenian music video clips See you there! The time has come for us to unite. The 10 million Armenians around the world will express their protest and anger against this flagrant injustice. Whoever shuts an eye to illegitimacy and monstrous brutalities will find himself as the victim someday as well. THE REPUBLIC OF ARMENIA CANNOT TOLERATE THAT. As many of you have already heard, the government of Hungary released prisoner Ramil Safarov to Azerbaijan whose president, Ilham Aliyev, pardoned him immediately upon his return to the country. Safarov murdered Armenian officer Lt. Gurgen Margaryan in cold blood in 2004 and was sentenced to life in prison in 2006. In response to these reprehensible acts, community-wide protests in front of Hungarian Embassies are being organized in as many cities as possible. Please gather your membership and contact your local Armenian Embassy/Consulate to coordinate the protest with all local organizations. 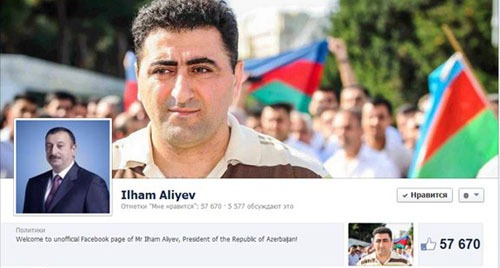 BUDAPEST, Hungary — An Azerbaijani military officer sentenced to life in prison in Hungary for hacking to death an Armenian officer was sent back to his homeland on Friday and, despite assurances, immediately pardoned and freed by his country’s president. Lt. Ramil Safarov was given a life sentence in 2006 by the Budapest City Court after he confessed to killing Lt. Gurgen Markarian of Armenia while both were in Hungary for a 2004 NATO language course. Azerbaijan and Armenia are ex-Soviet neighbors who have been locked in a long-standing conflict over the mountainous territory of Nagorno-Karabakh. Hungary returned the 35-year-old Safarov to Azerbaijan only after receiving assurances from the Azerbaijani Justice Ministry that Safarov’s sentence, which included the possibility of parole after 25 years, would be enforced. “The Ministry of Justice of Azerbaijan has further informed the Ministry of Public Administration and Justice of Hungary that Ramil Sahib Safarov’s sentence will not be modified but will immediately continue to be enforced, based on the Hungarian judgment,” the Hungarian ministry said in a statement issued before the news of Safarov’s release was known. The ministry said it based its decision on the 1983 Strasbourg Convention on the Transfer of Sentenced Persons. Hungary’s Justice Ministry did not immediately respond to a request for comment on Safarov’s release. Nagorno-Karabakh lies within Azerbaijan, but has remained under the control of Armenian troops and ethnic Armenian forces since the end of a six-year separatist war in 1994. Diplomatic efforts to settle the conflict have brought no result, and shootings on the Armenian-Azerbaijani border have been common. During his trial in Budapest, Safarov claimed that the conflict was at the root of his actions and that he used an ax to kill Markarian while the victim was sleeping in a dormitory room after the Armenian repeatedly provoked and ridiculed him. “My conscience was clouded as a result of the insults and humiliating and provoking behavior, and I lost all control,” Safarov told the court in April 2006. A longtime teacher of Armenian language at the Armenian school “Victoria and Krikor Tyutyundzhiyan” of Plovdiv. Mrs. Manukian developed a few generations of Armenian kids to love our motherland, mother language and the Armenian culture in large. Author of exercise books in Armenian language. Additionally, she has been one of the 12 founders of the A.G.B.U Plovdiv chapter in 1991, when the chapter was recovered, once the communist regime fell. Member of the first management body of A.G.B.U –Plovdiv, after its restoration. In the past 12 years she taught at the AG.B.U.ArmenianSaturdaySchool-Plovdiv. It was her idea to create children’s theater troupe to theUnion. During 2006, rehearsals began with 12 children, but shortly after that the number grew tremendously. The kids were simply attracted by the teaching magics of Mrs. Manukian. 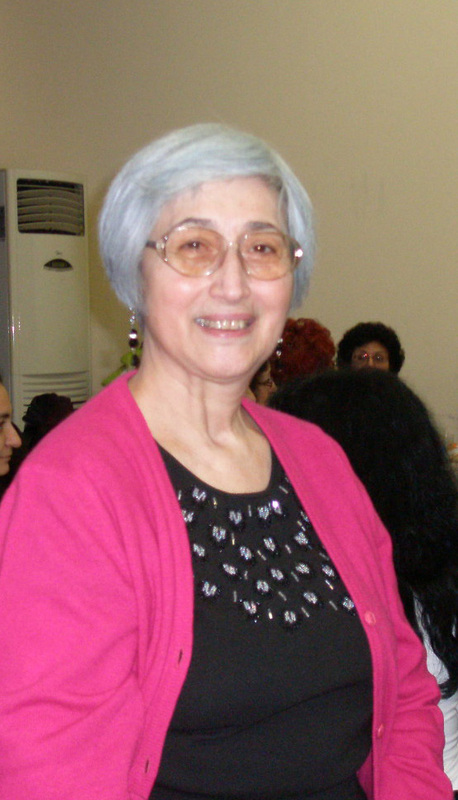 Mrs. Malvina Manukyan created and formulated everything. She directed and adapted the scenes, which were widely attended in each city where the group went on tour. As a result, the theater group received constant invitations to participate. Mrs. Malvina Manukyan’s method of direct contact with the children in Armenian through mainly learning their theater lines made it easier for the kids to learn and to use our mother language. Not long after that, the young artists freely expressed and dealt in Armenian. Constant student activity was her strength and motivation to seek attractive methods to fight against globalization and the increasing Internet penetration in the lives of her student – artists. This was one of the many reasons for which she received the special prize of the jury of Children Theater inArmenia, called “Nran hadik,” in October 2011. Only days before her departure from this world, Ms. Manukyan prepared a new staging, production with which to re-open the theatrical season, in October – 2012. The theater group is about to participate on August 25, 2012 at the festival of Armenian culture in the city ofBurgas, where should present Mrs. Manukyan’s new production. The fragile hearts of our artist – children are hurt by the loss of their favorite and beloved teacher, but she will be always with them, even from above. She will be with them because she left her soul in order to be reborn in the talent of the children of the A.G.B.U -Plovdivtheater group. A.G.B.U –Plovdivpresents its deep condolences to Mrs. Malvina Manukyan’s family and relatives. We will always remember and miss you – Sireli Digin Manukian.